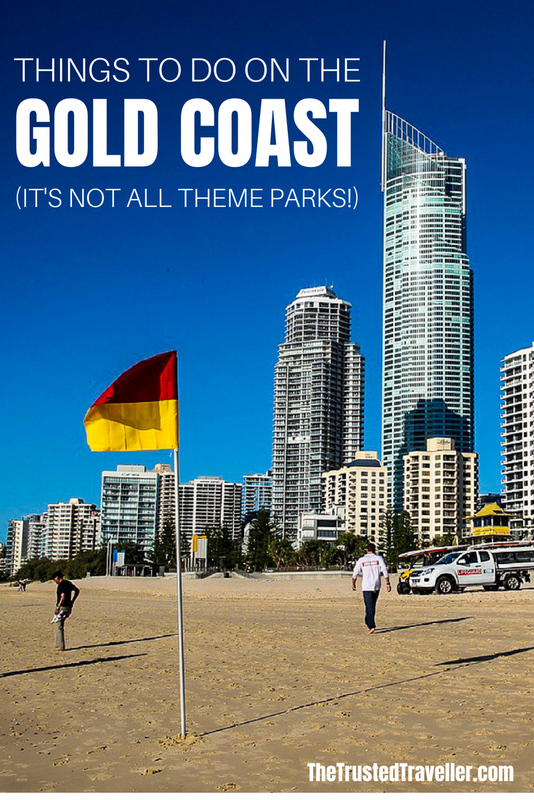 Who doesn’t want to visit a place called the Sunshine Coast! 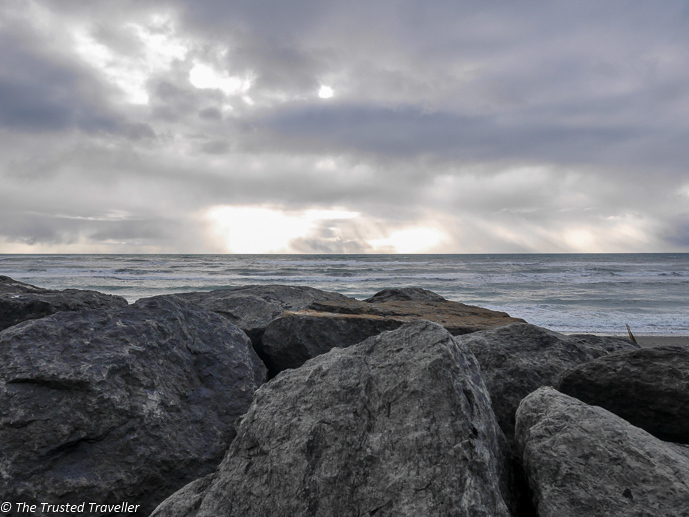 Nothing sounds more enticing to me than the promise of sunshine on the coast. Straight away I think of golden sand beaches and the sun glinting off the ocean. Well this place does exist, and I can tell you that it 100% lives up to its name, with sunshine almost guaranteed all year round. 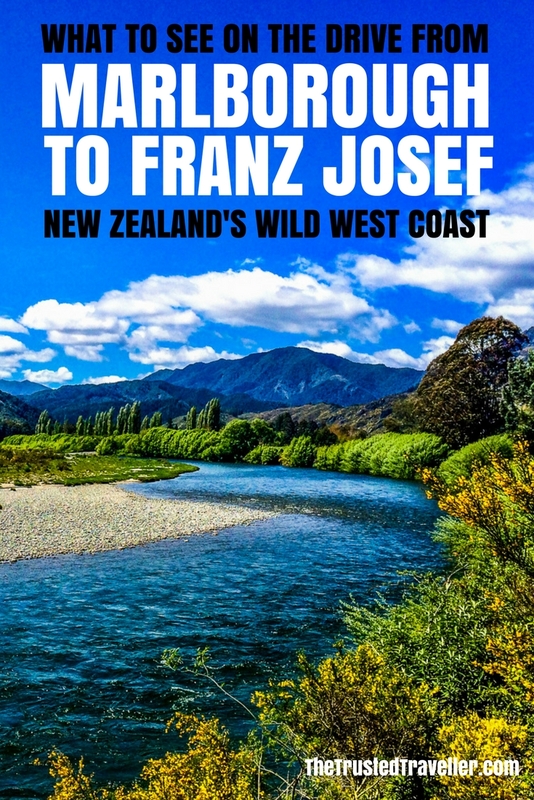 And it’s only just over a one-hour drive north of Brisbane, Queensland’s capital. Miles and miles of pristine beaches, some less crowded than others; laid back coastal towns; lush rainforest; and the opportunity to come face to face with some of Australia’s most famous wildlife, are all reasons you’ll want to include this stunning part of Australia on your next visit. 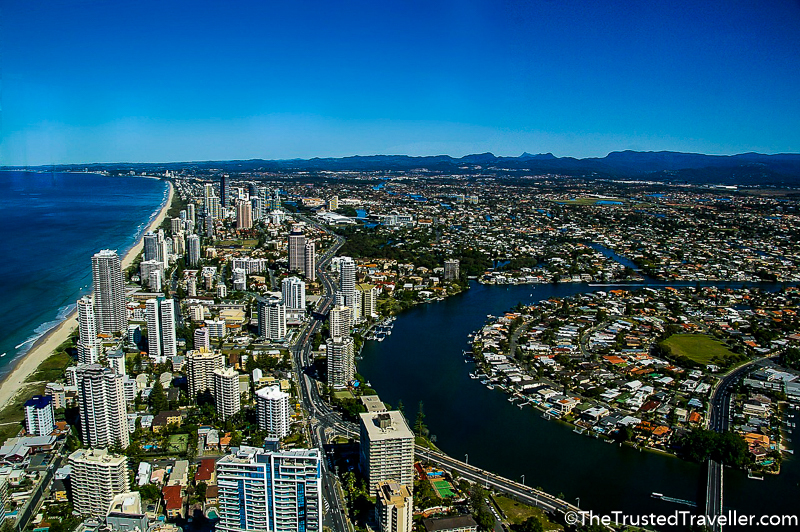 Before you get stuck into my list of things to do on the Sunshine Coast, you’ll need to have a think about where to stay. 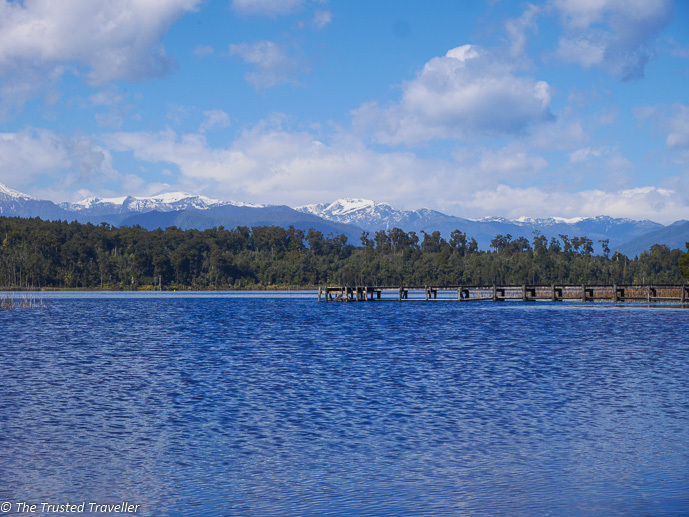 Right in the heart of the Sunshine Coast is the Twin Waters Resort. Surrounded by water, this slice of paradise on the sunny coast has accommodation to suit most budgets and is well decked out with everything you’ll need. The stylish serviced apartments accommodate the needs of all travellers including rooms with separate bedrooms and living spaces, as well as kitchens and dining spaces for larger groups or families. 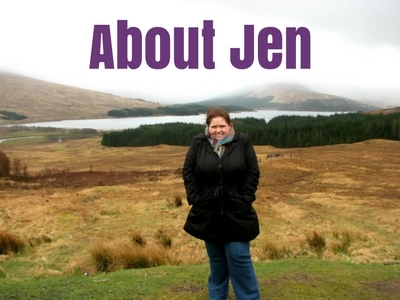 Right, so let me show you some of things you can see and do while visiting the Sunshine Coast. 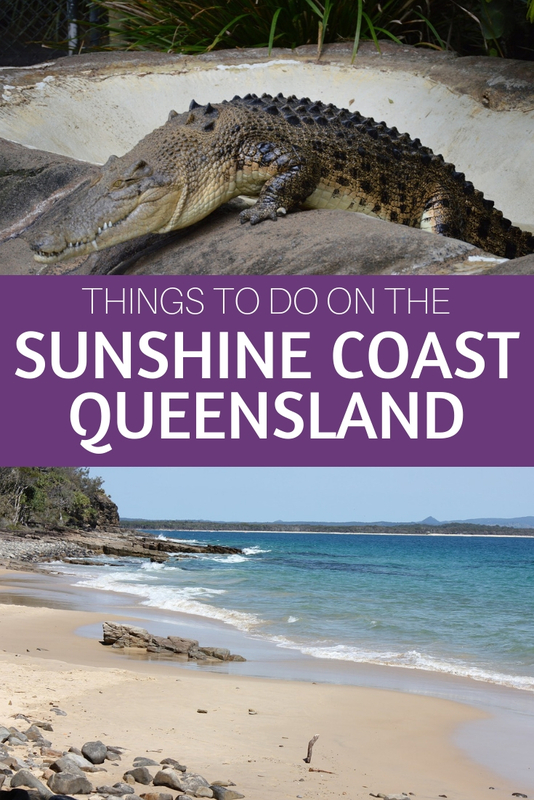 Feel free to leave a comment at the end of this article to tell me if you’ve been to the Sunshine Coast before and what you’d recommend others see and do. A wander down Noosa’s famous Hasting Street is a must when visiting the Sunshine Coast. Lined with trendy boutique shops, cafes, restaurants and bars, it’s lively morning, noon and night. Sit in a side-walk cafe and people watch, browse the boutiques for a new cossie (Aussie slang for swimmers) or grab an ice cream and take a stroll. 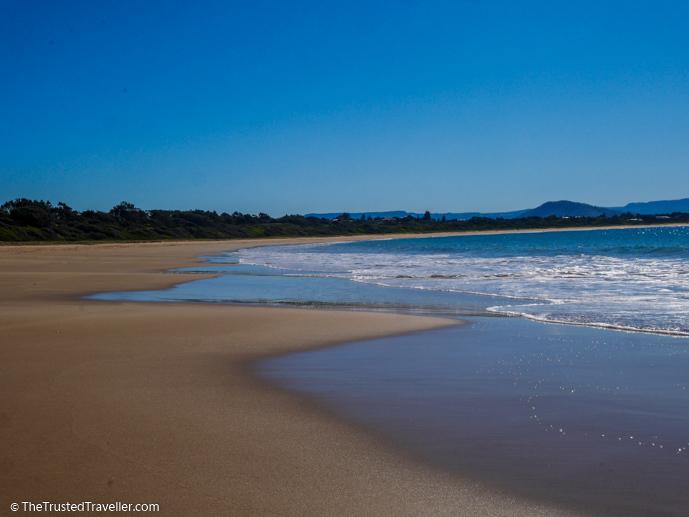 And just a stone’s throw from the street is stunning Noosa Main Beach too! 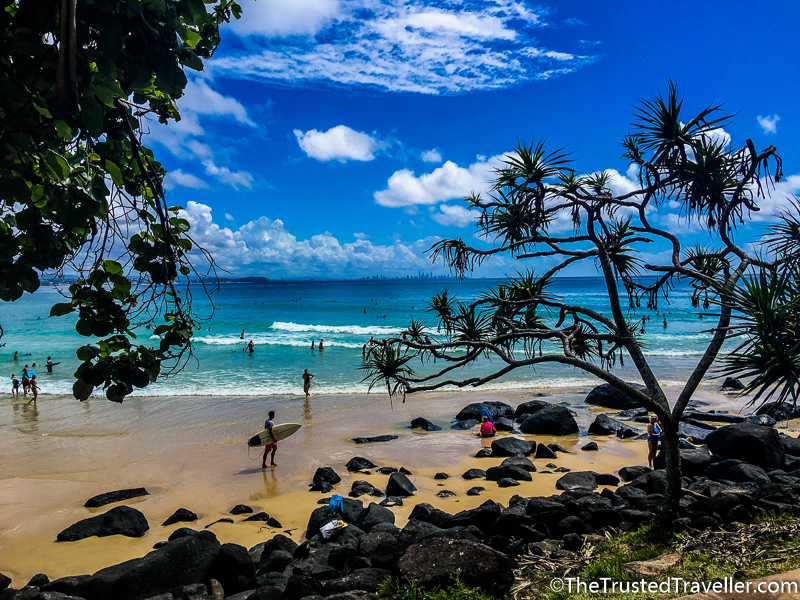 You can walk right off the end of Hastings Street into the pristine Noosa National Park with not one but five popular trails leading you to secluded beaches through a lush scenic rainforest backdrop. 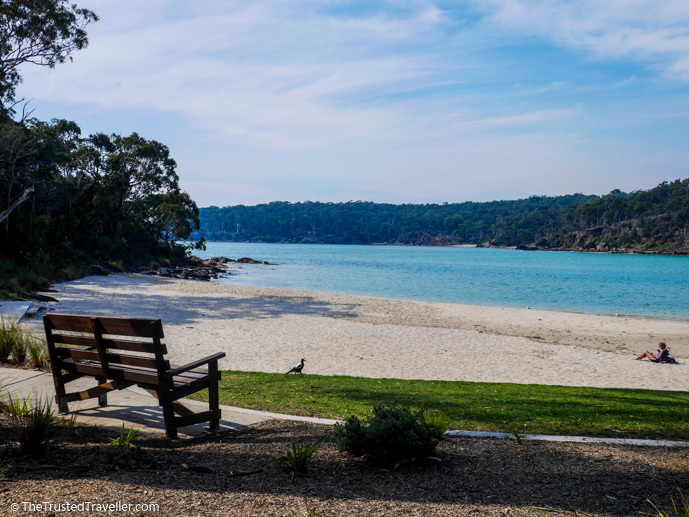 A great thing to do is grab some picnic supplies in Noosa and walk to one of the beaches in the park to sit and enjoy the peace and spectacular views. Just a short drive south-west of Caloundra brings you to one of the most stunning inland spots on the Sunshine Coast, the Glasshouse Mountains. 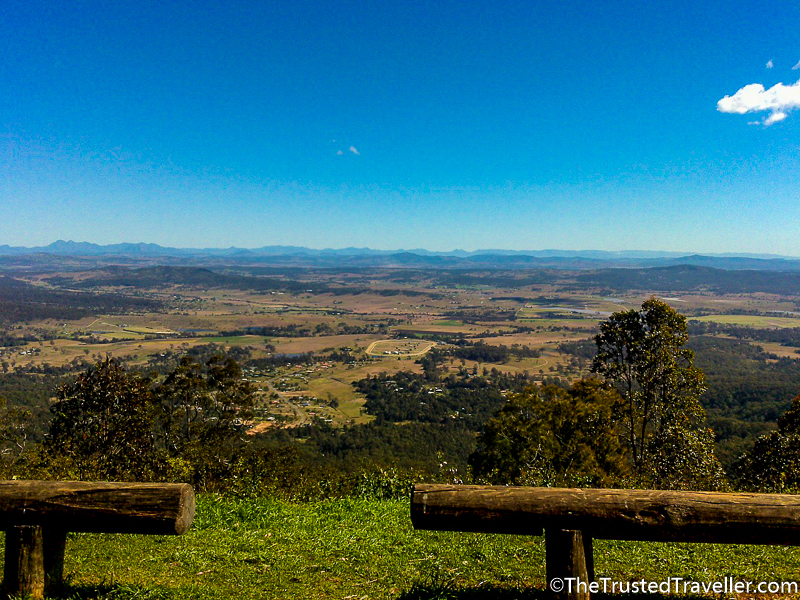 Take a relatively easy 2.8km walk up Mount Ngungun for spectacular 360-degree views or a drive to The Lookout for panoramic views of the mountain peaks. If you can get there at sunrise or sunset, the views are even more incredible! 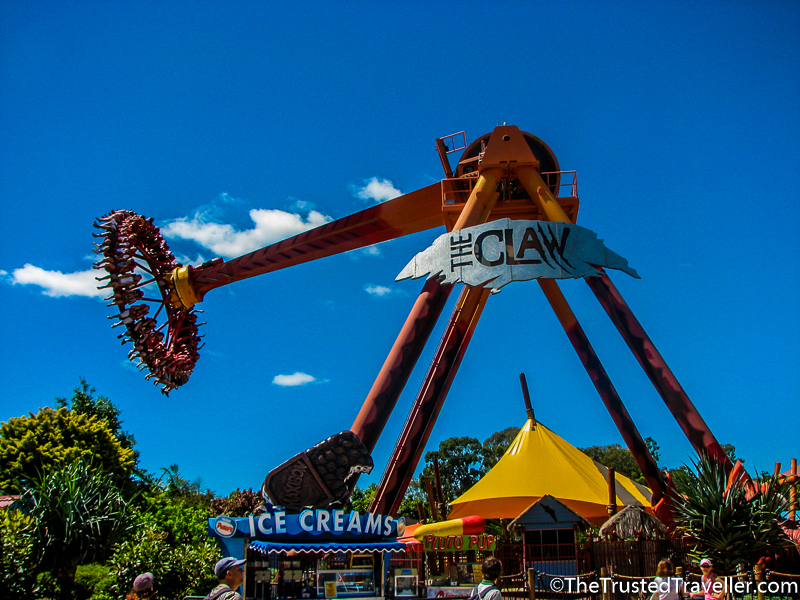 No holiday in Australia is complete without visiting one of the many ‘big’ roadside attractions scattered around the country. On the Sunshine Coast you can visit the Big Pineapple. This 16m fibreglass pineapple is located on the highway and can’t be missed as you drive north. Stop for a selfie but don’t forget to grab some pineapple treats for the drive while your there. 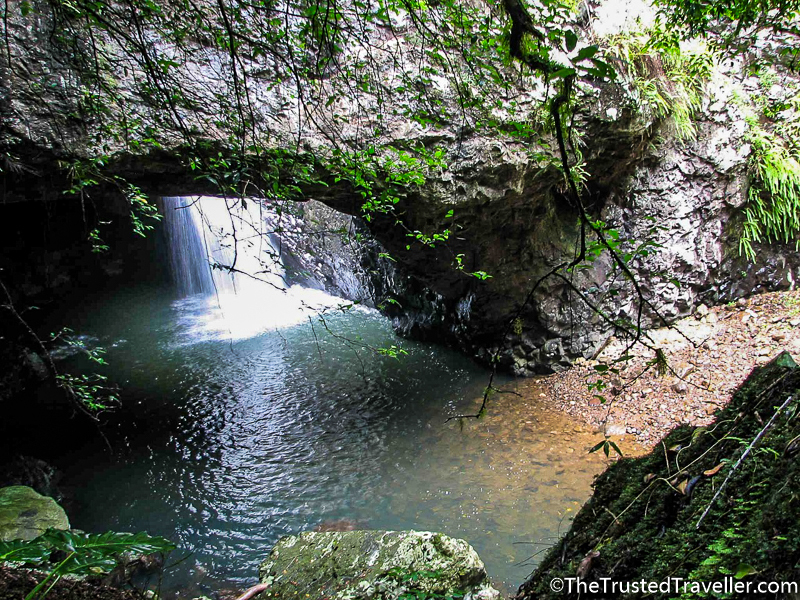 This 45-hectare park is home to one of the most stunning waterfalls on the Sunshine Coast, Buderim Falls. 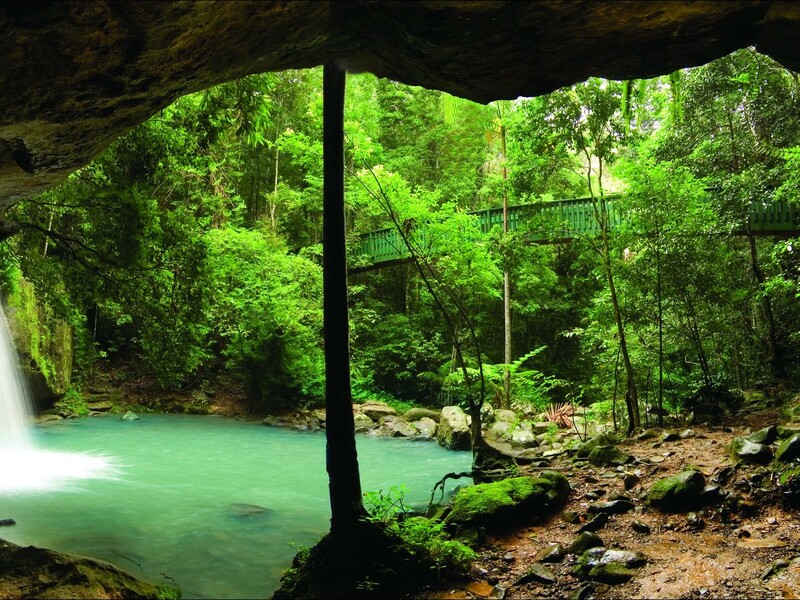 It’s an easy walk to the falls and takes you through some pretty amazing rainforest. 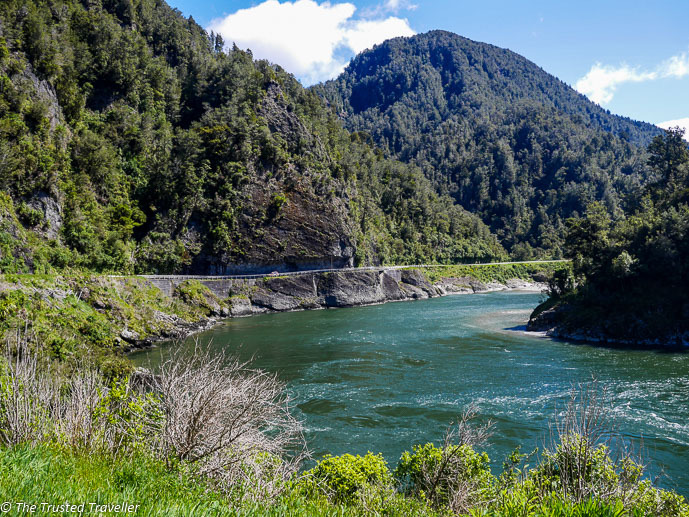 This is a great place to visit if you are limited on time as it can easily be explored in under 20 minutes. If you have more time, bring a picnic and enjoy the peaceful BBQ area too. You can’t go to the Sunshine Coast without spending some time on the beach. With over 100km of beach to choose from, you’ll have no problem finding your own little patch of golden sand to relax on. 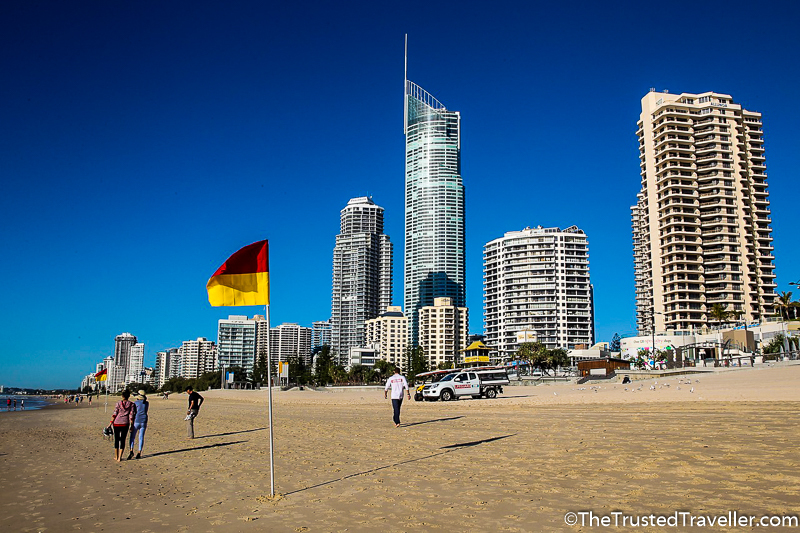 All the big towns on the coast have their own beaches, Noosa, Maroochydore and Caloundra included. 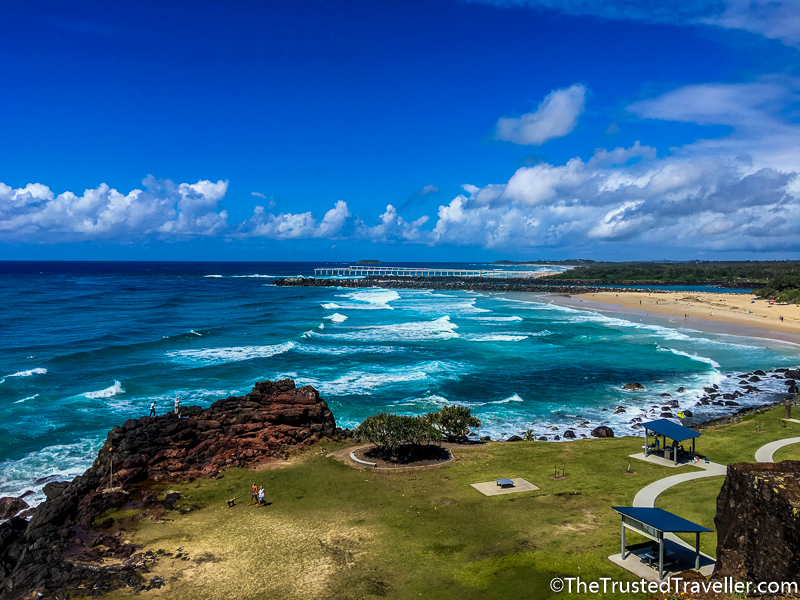 Head between the towns for smaller more secluded beaches like Coolum and Mudjimba beaches. 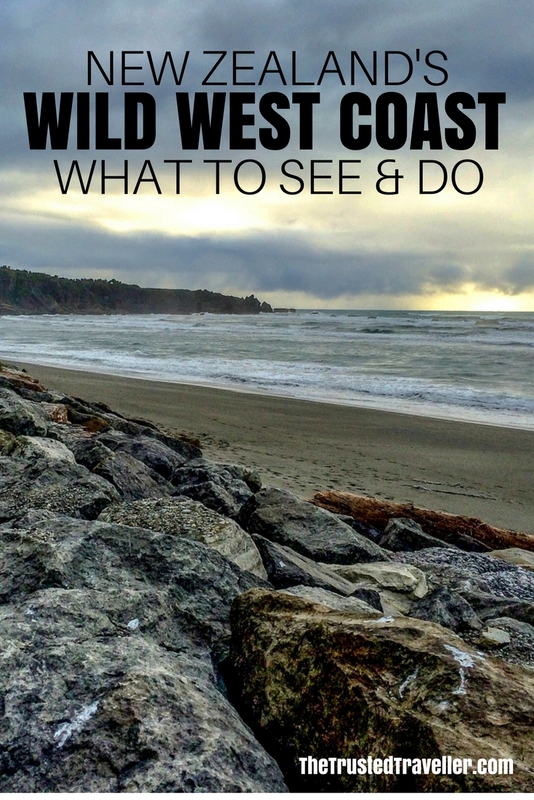 You can venture into the coastal national parks to get away from the cars and visit the secret beaches only accessible on foot. There a few markets on the Sunshine Coast but by far the best are the Eumundi Markets, located west of Noosa in the hinterland. These markets are held every Saturday and Wednesday and are one of the largest artisan markets in Australia. From bric-a-brac, to handmade goods, an abundance of food and great local entertainment, it is more than your average market. Just a one hour relatively easy but steep walk up Mount Coolum will give you the best views of the Sunshine Coast. 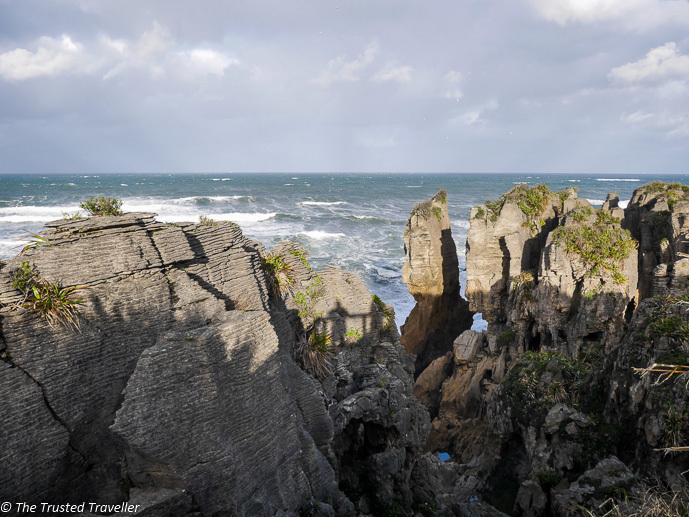 Looking out to the coast, it is totally worth the 181 metre climb up to enjoy the views. Keep your eyes peeled for local wildlife as you climb. Stretching from Pelican Waters in the south to Tewantin in the north, this 9km coastal pathway is a great way to stretch your legs and walk off all that holiday eating. You’ll find locals and visitors walking, jogging and cycling, taking in the stunning coastal views. High on the bucket list of most international visitors to Australia is to see some of our unusual wildlife. 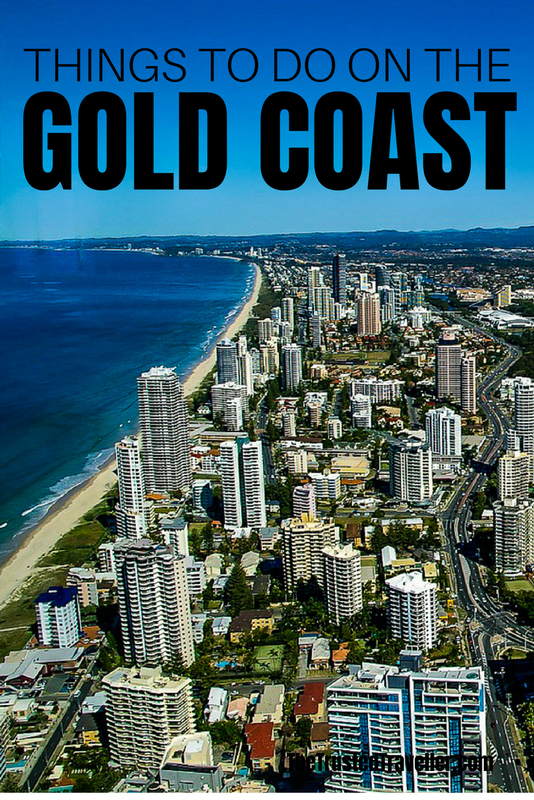 And one of the best places to do that is right here on the Sunshine Coast. 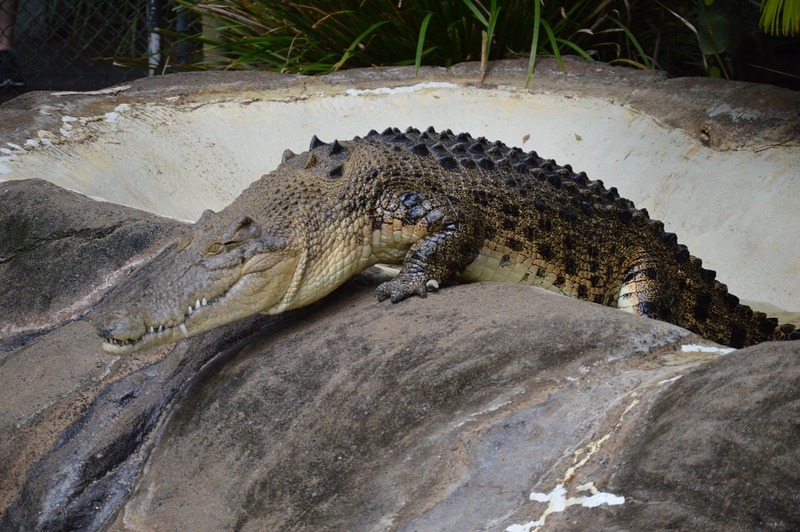 Australia Zoo was founded by the late Steve Irwin and is still run by his family. 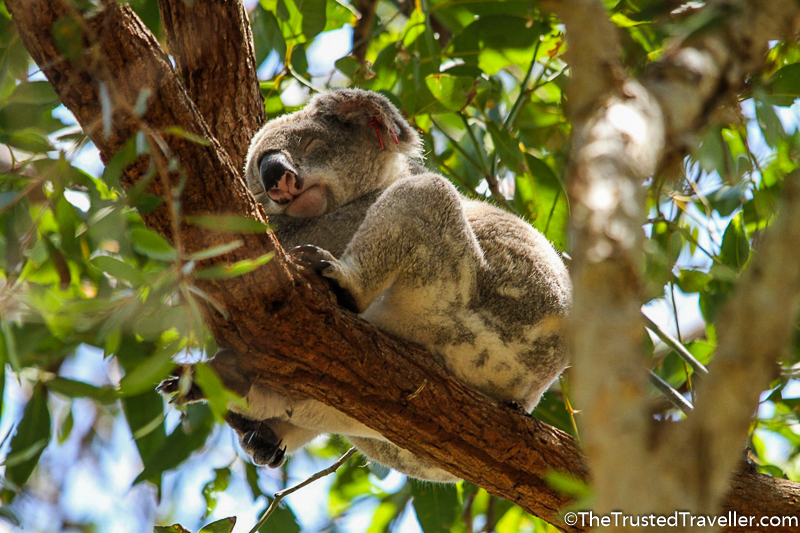 At the zoo you’ll be able to get up close with kangaroos, koalas, crocs and many other Aussie creatures. This small town in the Sunshine Coast Hinterland is the perfect place for foodies to get their fix of local produce. Local providores are in abundance in this laid-back town. You’ll have the chance to tour local farms, taste the local produce and maybe buy a few things to take home for family and friends. 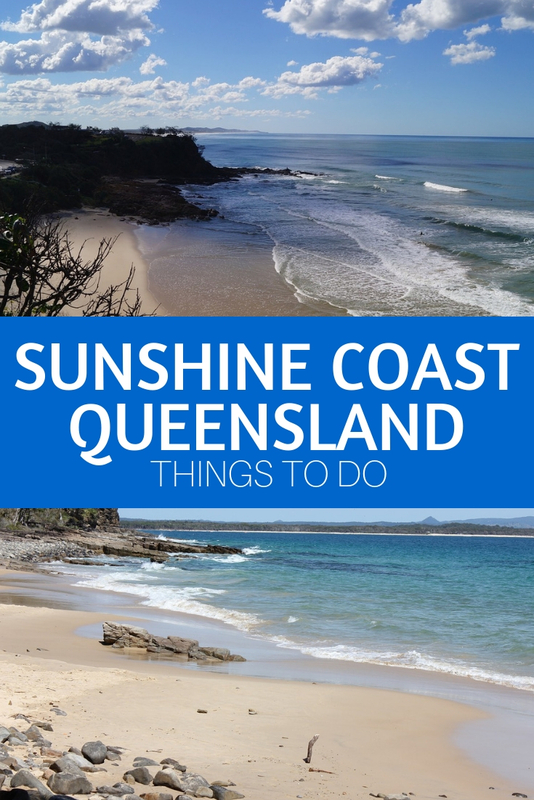 What of this list of things to do on the Sunshine Coast are you most keen to see and do? 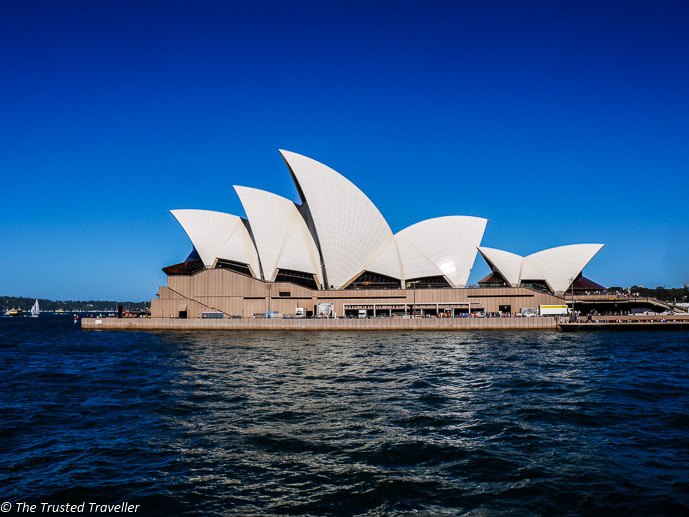 Australia is notorious around the world for being one of the most expensive travel destinations and Sydney, Australia’s biggest city, is no doubt the most expensive of them all. For those travelling on a budget it can be quite a turn off finding out how expensive Sydney really can be. However, with the right mix of paid and free (or really cheap) activities, you’ll be able to visit Sydney without busting the budget. Don’t skip out on one of the most beautiful cities in the world (modest local speaking!). 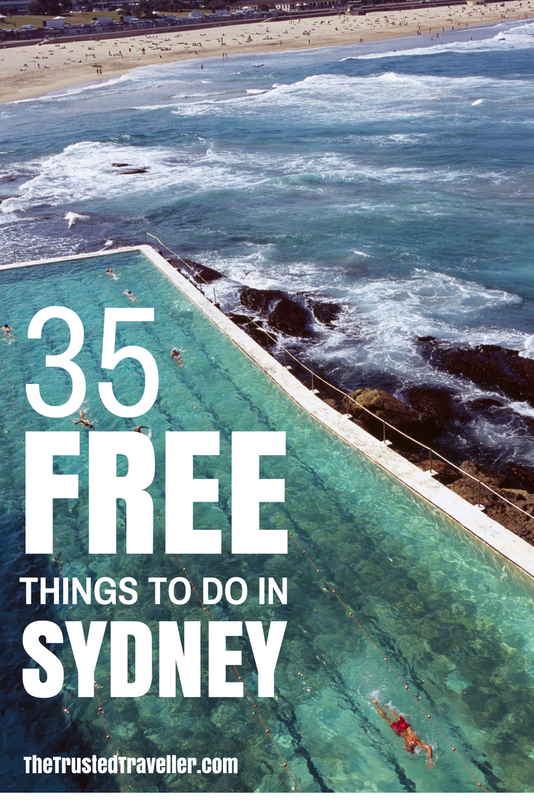 Check out my list of best free things to do in Sydney below. 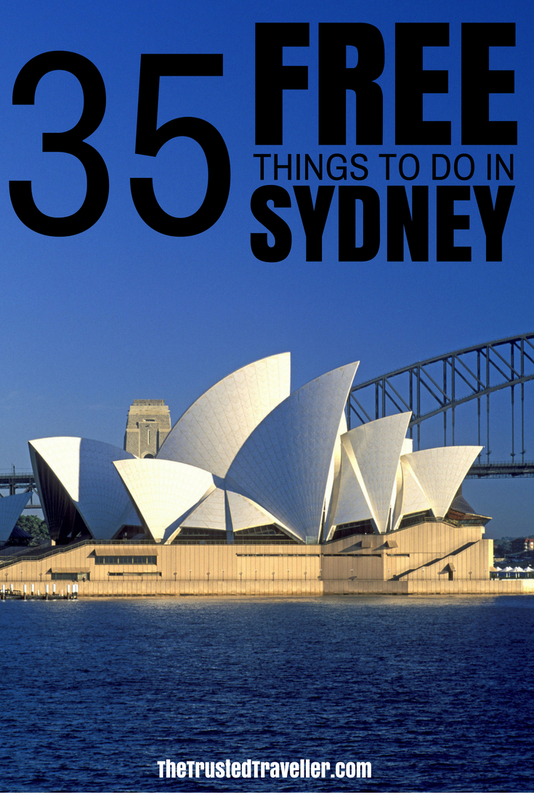 And as a bonus, I’ve added a few extra money saving tips specific to Sydney at the end too. 1. Take a walk around the outside and up the stairs of the Sydney Opera House. 2. Browse through the free modern and contemporary art exhibits at the Art Gallery of NSW. 3. 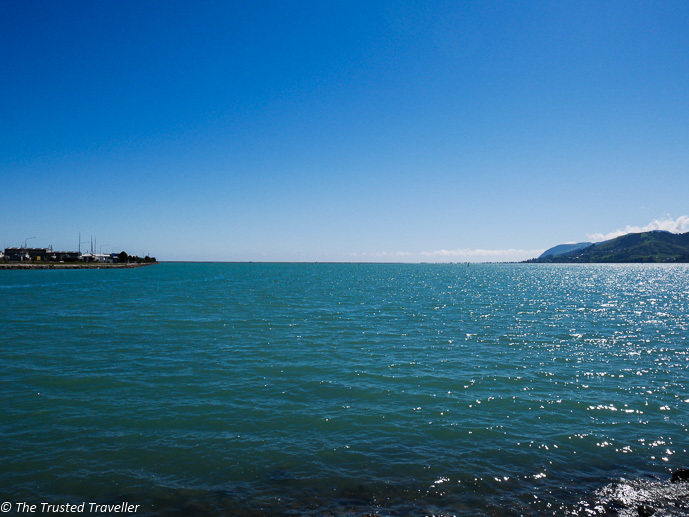 Enjoy the harbour views from the North Head Lookout. 4. 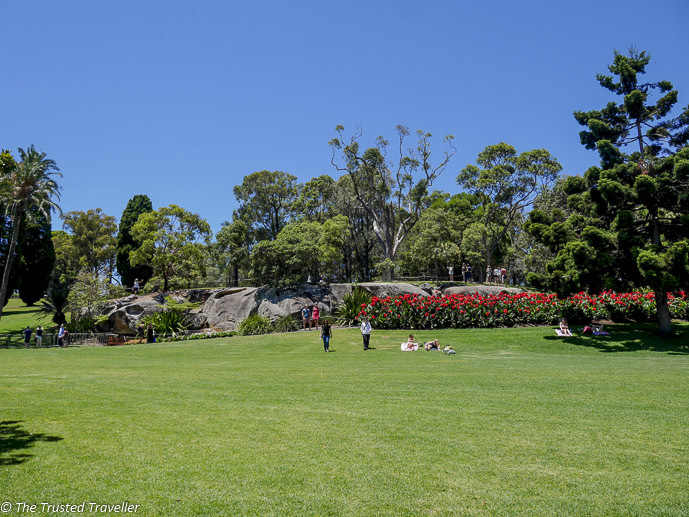 Explore the expansive Centennial Parklands and maybe enjoy a picnic. 5. Take in a bit of Sydney history at the Rocks Discovery Museum. 6. Stare in awe at one of Sydney’s loveliest buildings, St Mary’s Cathedral. 7. Explore one of Sydney’s oldest buildings, Government House, on a free guided tour. 8. Watch, or even join, the Sydney Gay and Lesbian community in March each year as they celebrate Mardi Gras with lots of glitter and feathers. 9. Browse for souvenirs at the weekend market in The Rocks. 10. Take a stroll through Hyde Park under the leafy trees and around the Archibald Fountain. 11. Enjoy the beauty of the Royal Botanic Gardens, perfectly positioned on Sydney Harbour. 12. Peruse Sydney’s latest catches at the Sydney Fish Market. 13. Join in on Sydney’s annual cultural arts celebration at the free events offered as part of the Sydney Festival. 14. Enjoy the free fun for the whole family activities at Sydney Olympic Park. 15. Find a bargain by the beach at Bondi Beach Community Market. 16. 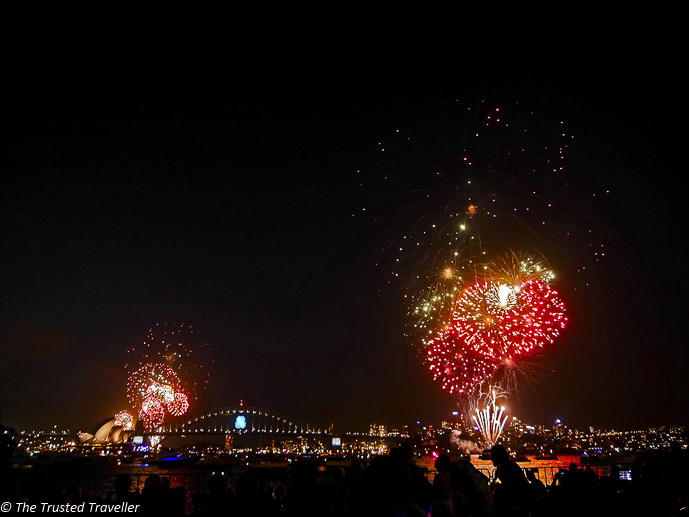 Bring in the new year on the world’s most beautiful harbour watching the best New Years Eve fireworks there is. 17. Don’t climb, rather walk over a Sydney icon, the Sydney Harbour Bridge on the footpath. 18. Spend Saturday in the sun at the cool Paddington Markets. 19. Absorb the beauty of Queen Victoria Building and watch the famous clock chime on the hour. 20. Let the kids run wild at the adventure playground in the Darling Quarter. 21. 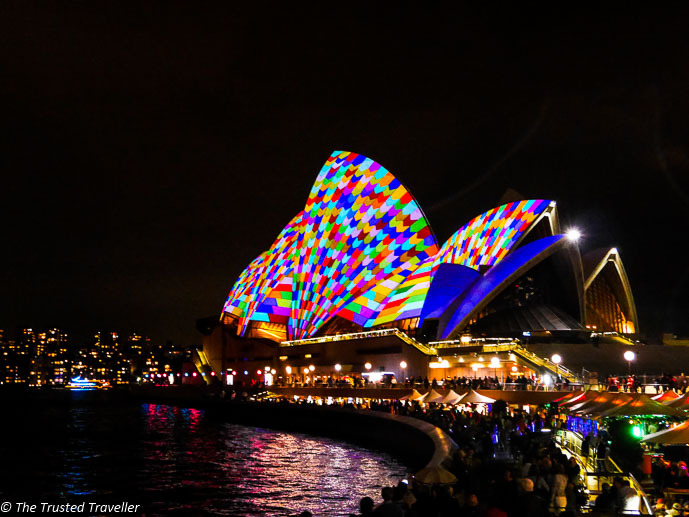 Enjoy the spectacle of Sydney’s most famous structures lit up with colour for Vivid Festival. 23. Enjoy the aromas at the Carriageworks Farmers Market. 24. Hike around the edge of one of the world’s most spectacular habours on the Sydney Harbour Circle Walk. 25. 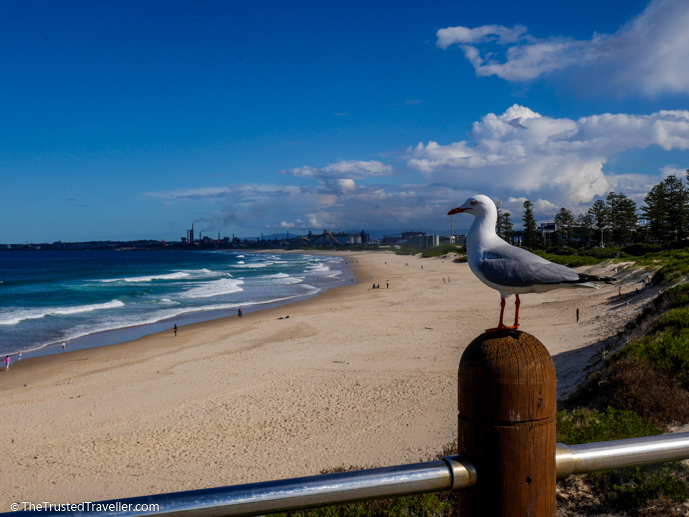 Walk the famous Bondi to Coogee path to enjoy the views of some of Sydney’s beaches. 26. 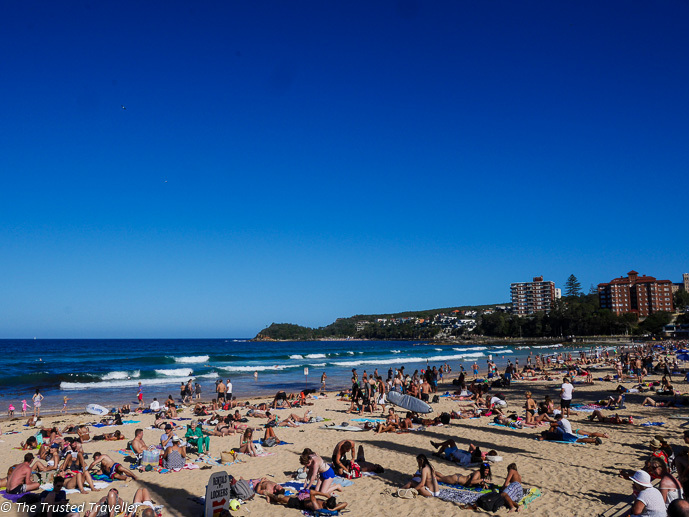 Cool off after all that walking with a swim at one of Sydney’s best beaches. 27. Snorkel through the reef at Shelley Beach, Sydney’s most accessible reef. 28. Visit the Museum of Contemporary Art to see ground-breaking contemporary art displays. 29. 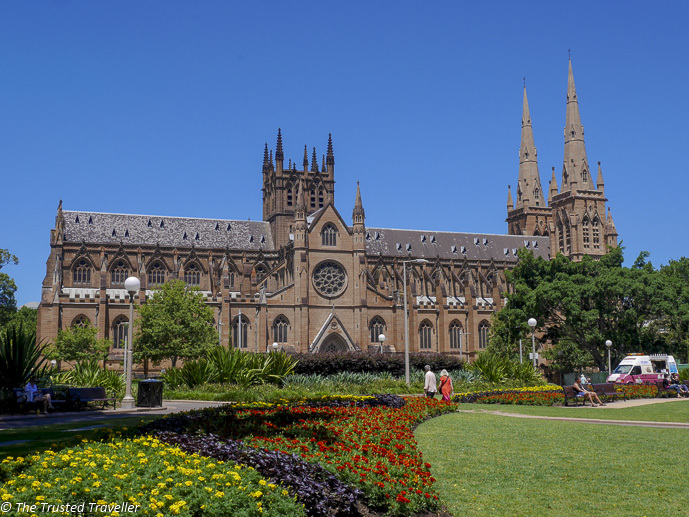 Join the daily free walking tour of Sydney to get yourself orientated. 30. Soak up the atmosphere at Sydney’s coolest market, Glebe Markets. 31. 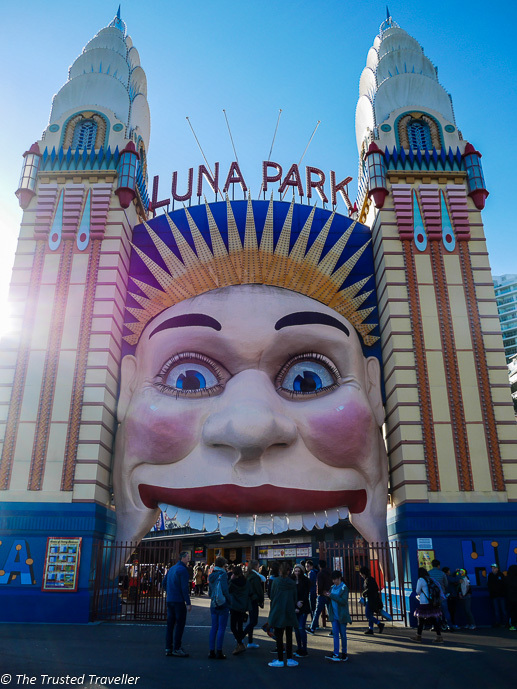 Soak up the fun at Luna Park. 32. Hike up to the Barrenjoey Lighthouse at Palm Beach. 33. Test your knowledge at a local pub with some evening trivia. 34. Enjoy the views of Sydney from Observatory Hill. 35. 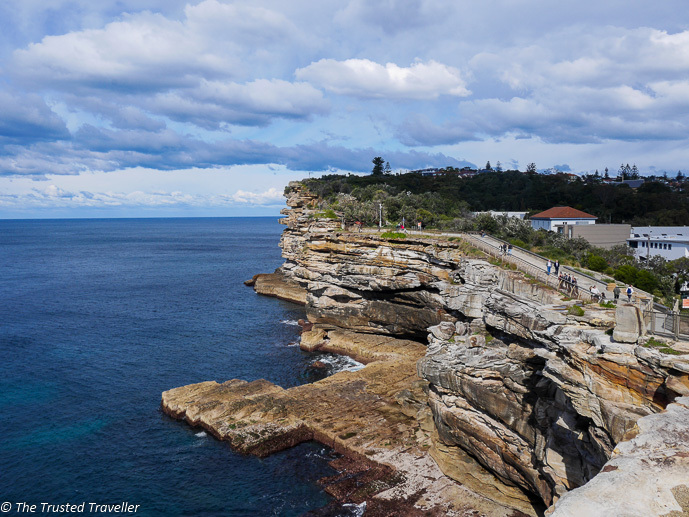 Check out the views from The Gap at Watsons Bay and walk out to the South Head. Walk as much as you can. The CBD, Darling Harbour, Chinatown, Circular Quay and The Rocks areas are all close to one another and can easily be explored on foot. If you need to take public transport, grab an Opal Card with top up available from as little as $AU10.00. Buy groceries at the supermarket to make your own lunch. And if you have cooking facilities in your accommodation, stock up on basics to cook an easy dinner too. Eat out in pubs and RSL clubs. Meals are cheaper and portions are generous, often big enough to share. Check if an attraction you want to visit has a free or reduced rate day or evening. Save by buying tickets to multiple attractions at once with attraction passes. You’ll find free wi-fi in select cafes, McDonald’s and public libraries. Don’t pay the extortionate prices at your hotel. 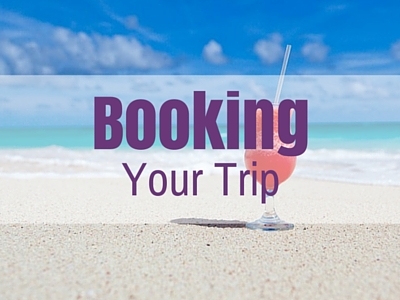 Take day trips yourself rather than booking expensive tours. The train runs right to Katoomba in the heart of The Blue Mountains. Hotel prices in Sydney are quite honestly ridiculous! If you don’t want to stay way out of town, schlepping in on public transport each day, then you do have a few options to help you save some money. Hostels don’t come better located than this one. 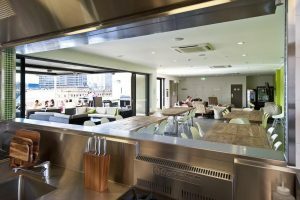 With stunning harbour views from the rooftop, Sydney Harbour YHA is located in the heart of The Rocks and walking distance to everything. Rooms come in all configurations and some have private facilities. Conveniently located next to Central Station giving you quick access to all of Sydney. 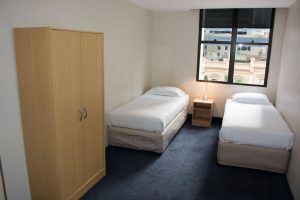 This is one of newer hostels in Sydney so accommodation is super modern and full of great facilities. You’ll find dorms and private rooms, some with private bathroom. Located right in the heart of the CBD. You can walk everywhere including Darling Harbour, The Rocks and Circular Quay. Rooms are simple but the hostel itself is packed with useful facilities to help you make the most of your cash. Rooms are either shared or private. Or why not book an Airbnb stay. 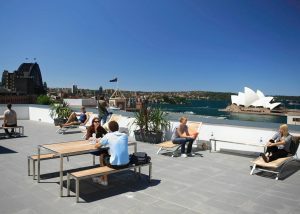 There are many value for money options in the CBD and outskirts that could help you save money on your visit to Sydney. 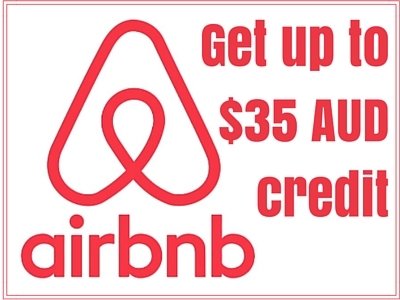 Plus, if you use this link to sign up, you will get up to $45AUD off your first booking. What have I missed? Add your suggestions for free things to do in Sydney to the comments. Or tell me what you’d most like to see and do in Sydney? Australia is famous the world over for its excellent beaches. 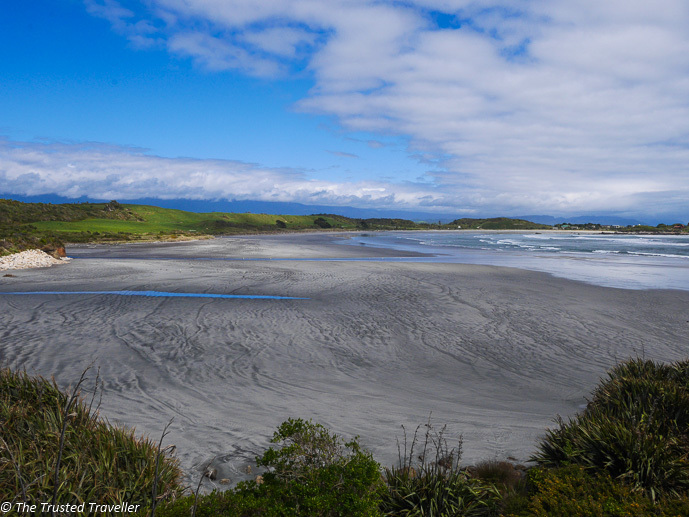 With over 25,000 km’s of coastline, there’s a perfect patch of sand for everyone to enjoy. And the NSW South Coast beaches are among some of the very best in the country. 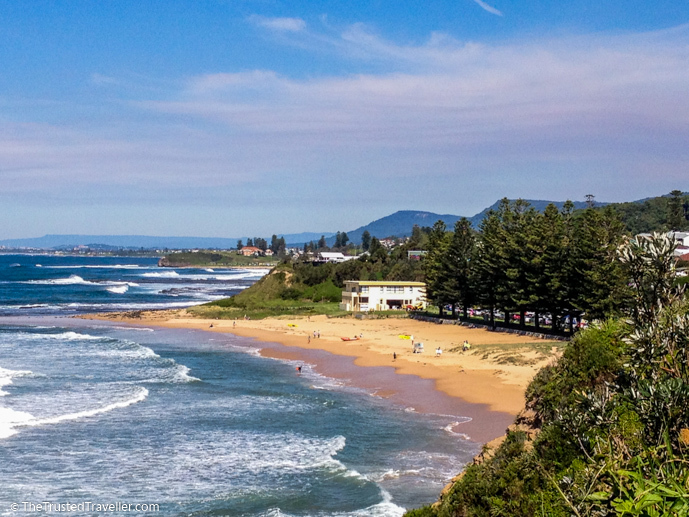 There are hundreds of beaches stretching south from Sydney to the Victorian boarder that are perfect for summer vacation activities like swimming, surfing, walking, fishing, kayaking, stand up paddle boarding and just simply relaxing. So with an abundance to choose from, where do you start? Right here of course! 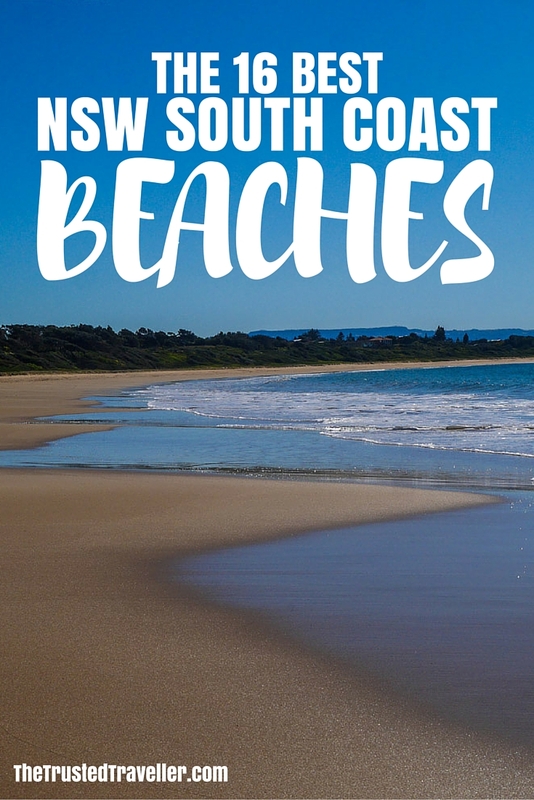 As always I’ve got you covered with this list of the very best NSW South Coast beaches. Each and every one I’ve picked has been tried and tested (it’s a tough job, but someone has to do it right!) so you know you can trust my recommendations. 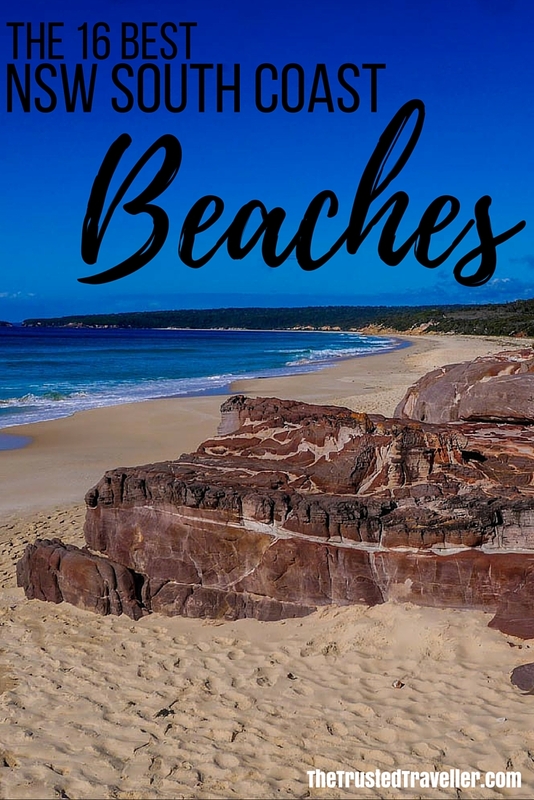 I’ve travelled the entire NSW South Coast and have deemed these 16 beaches to be the best of the best. 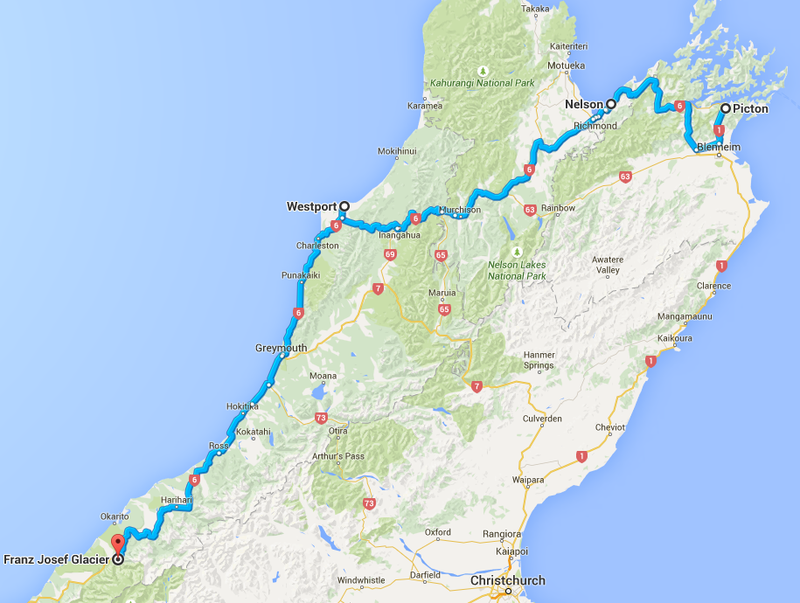 The list is in order from north to south and I’ve included a handy map to help you visualise where they are located. I’d love to have your input at the end too. 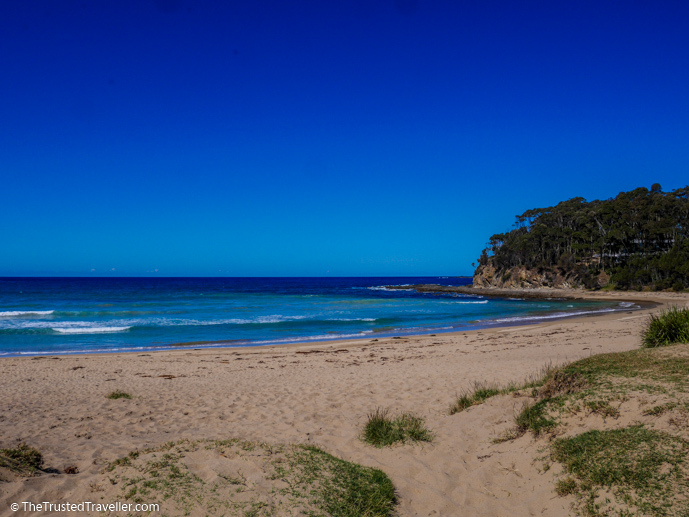 If you’ve got a favourite NSW South Coast beach, let me know what it is in the comments at the end of this post. 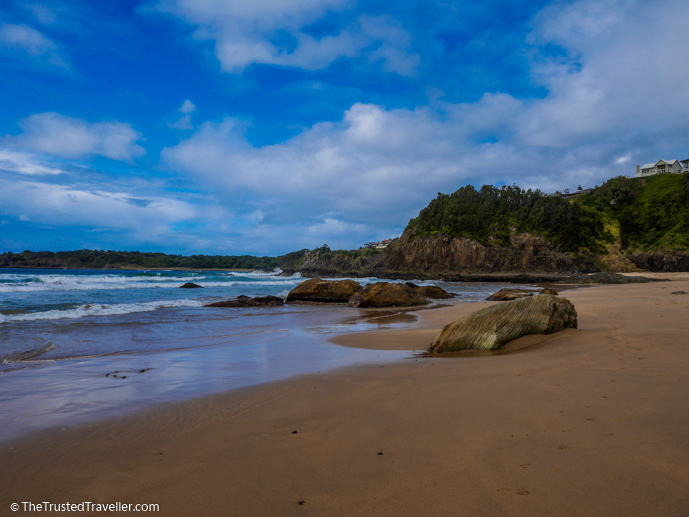 My pick of the many great beaches on the coast just south of Sydney. 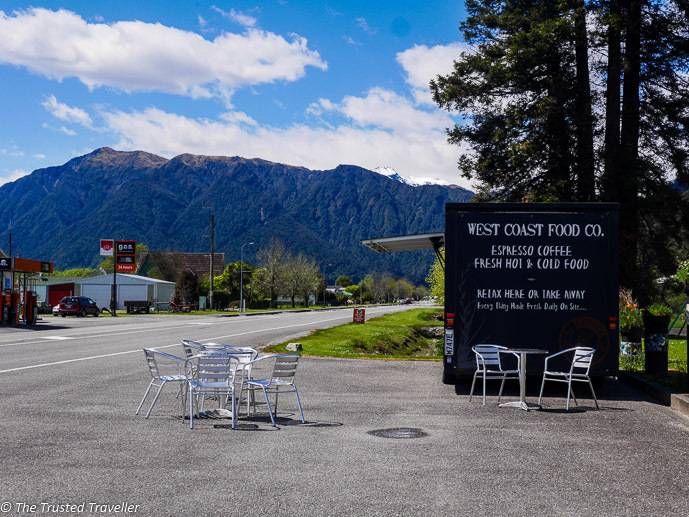 It’s in close proximity to the Sea Cliff Bridge and doesn’t get quite as busy during peak times like nearby Austinmeer, but it’s just as good. 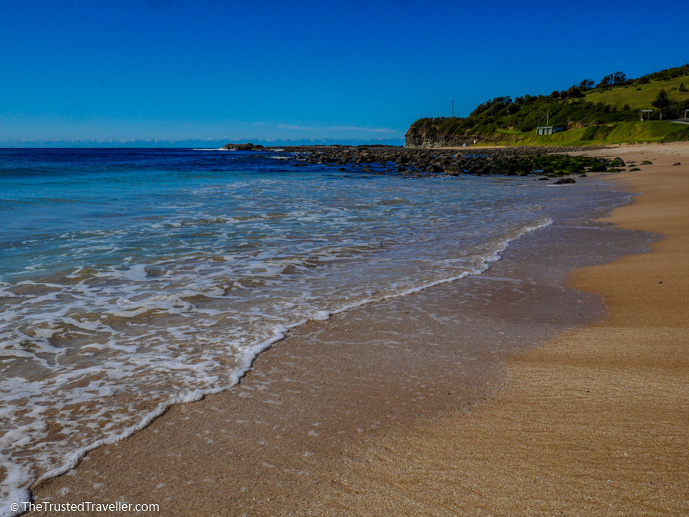 Wollongong has two great beaches and really I could have put both on this list but I picked City Beach because you can literally step out of the Wollongong city centre onto the beach. 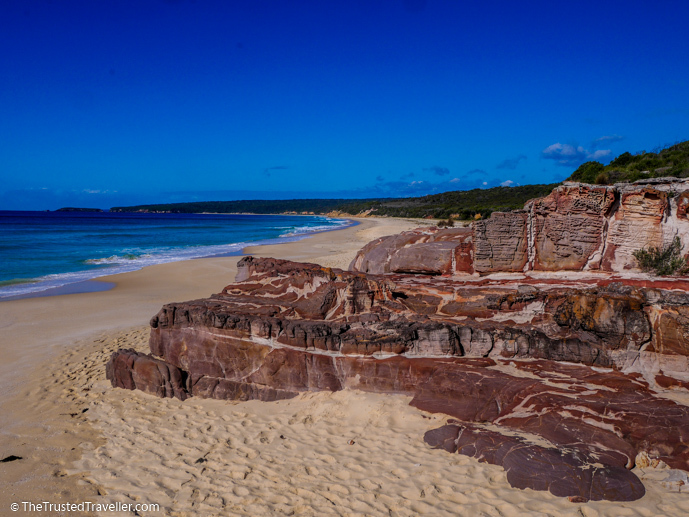 Not only great for swimming and surfing in summer, Jones Beach is worth a visit any time of year to see the Cathedral Rocks at the southern end of the beach. I love this beach to enjoy a stroll or eat takeaway fish and chips bought from the town up the hill. 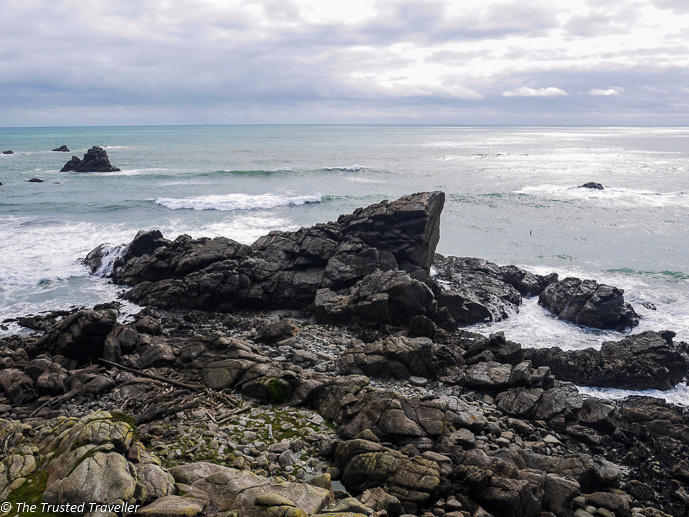 There’s also rock pools to explore on the southern end of the beach. 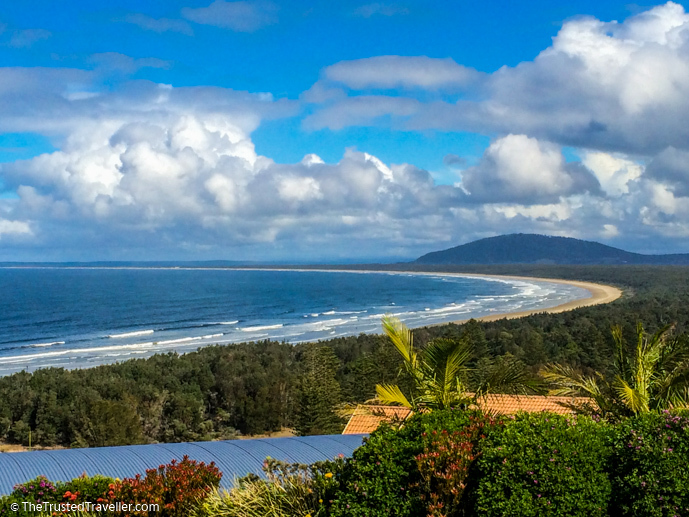 One of the longest continuous stretches of sand on the NSW South Coast, Seven Mile Beach stretches from the sleepy town of Geroa to the popular summer holiday town of Shoalhaven Heads. 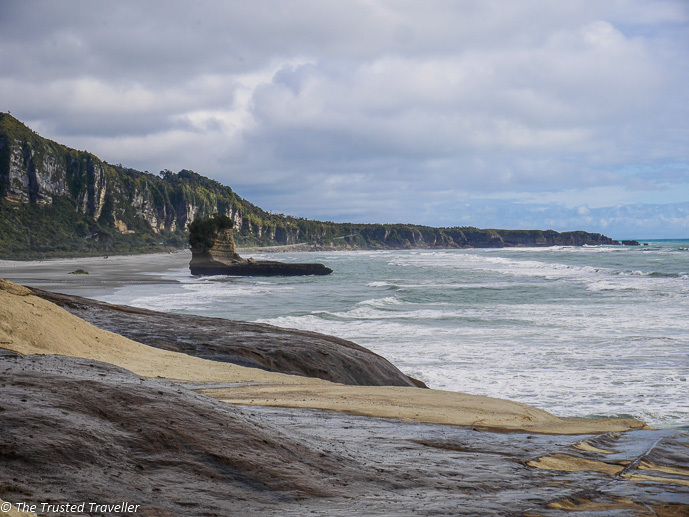 This surf beach can get some wicked swells making it excellent for surfers visiting the area. 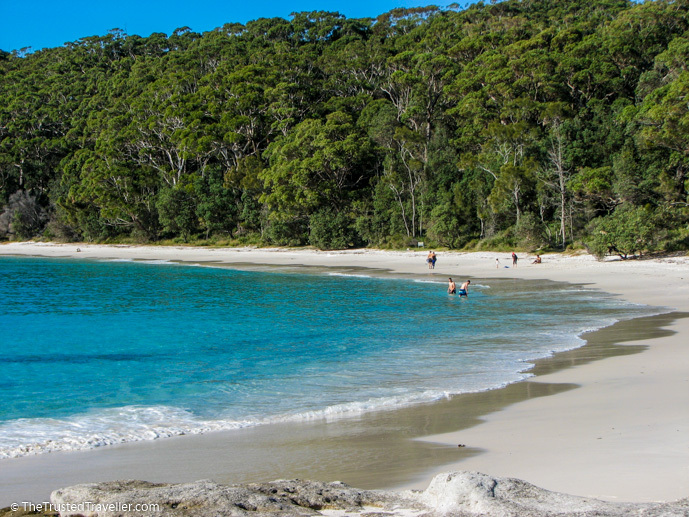 It’s also located in a neat little town that is the perfect place to spend the summer holidays, with Jervis Bay and the Shoalhaven nearby. Secluded and virtually untouched, Cabbage Tree Beach is on the Beecroft Peninsula which is part of the Department of Defence Weapon Range. At certain times of the day you’ll find local kangaroos on the beach and lots of other wildlife in the surrounding bush. 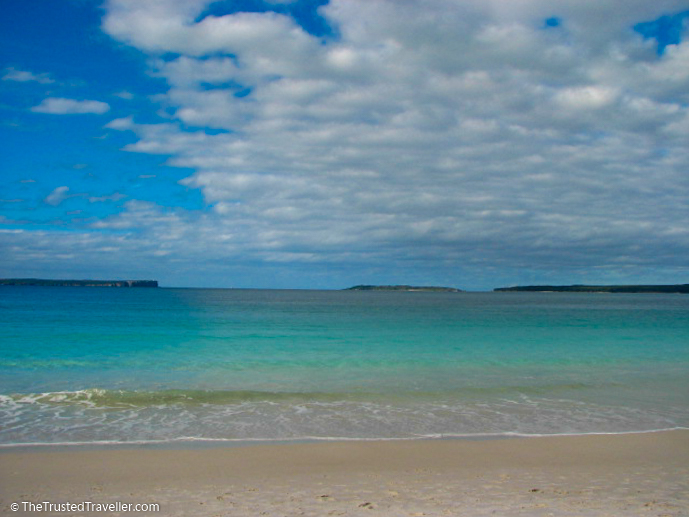 Calm crystal clear water perfect for kayaking or stand up paddle boarding and pristine white sand make this an excellent choice from the many great beaches in Jervis Bay. This beach has been said to have some of the whitest sand in the world. Need I say more! 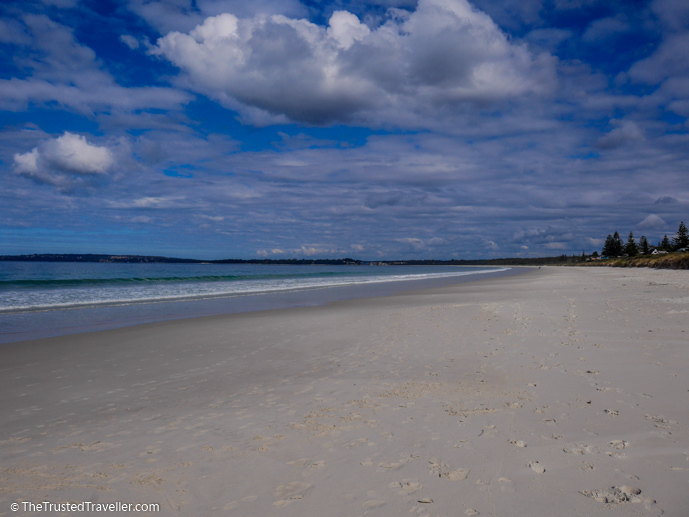 I love Murrays Beach for its incredible Jervis Bay views, crystal clear water and surrounding dense bush. It’s a 10-15 minute walk from the carpark so it’s not an obvious choice of beach for most which makes it reasonably peaceful, even in high season. 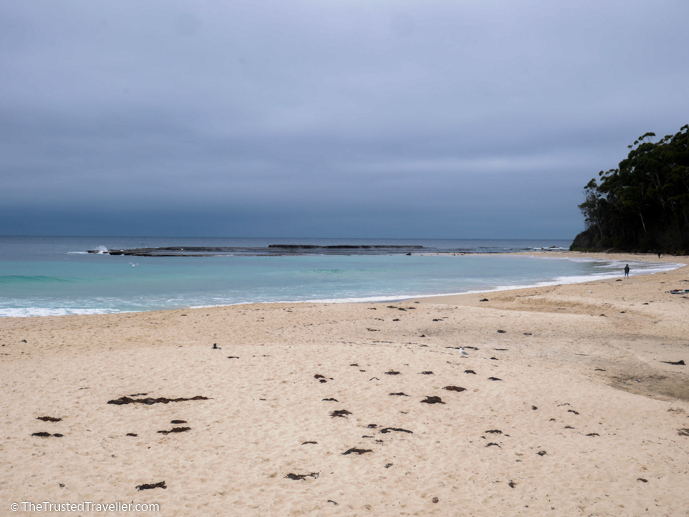 Even in miserable weather Mollymook impressed me for its natural beauty, crystal clear water and white long stretch of sand. It’s super popular in summer so get down there early to claim your perfect patch of sand. Small, secluded and wild. 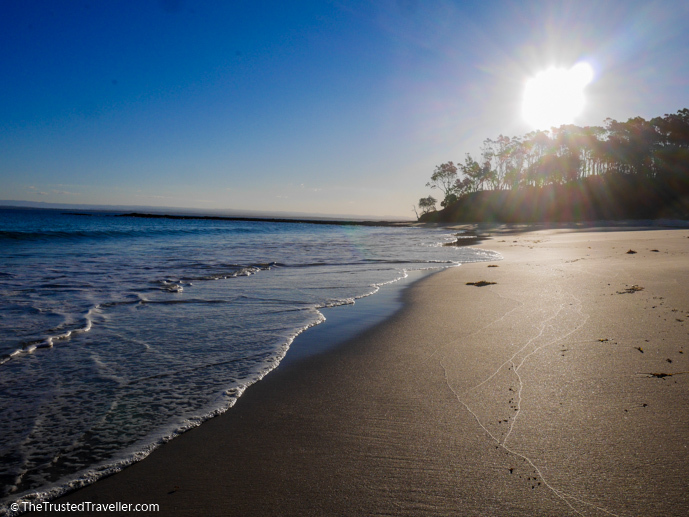 It’s not the obvious choice of beach in the Batemans Bay area but I loved it for its feeling of seclusion yet ease of access. The colour of the water at Tuross Head is possibly the best I saw anywhere along the NSW South Coast, so of course it has to be included in this list. This beach has everything. It’s perfect for surfers, swimmers and families because it has excellent waves, but it also has a bit of a sandbar near the shore which protects swimmers from the biggest waves. And then at the southern end of the beach is the famous Glasshouse Rocks! 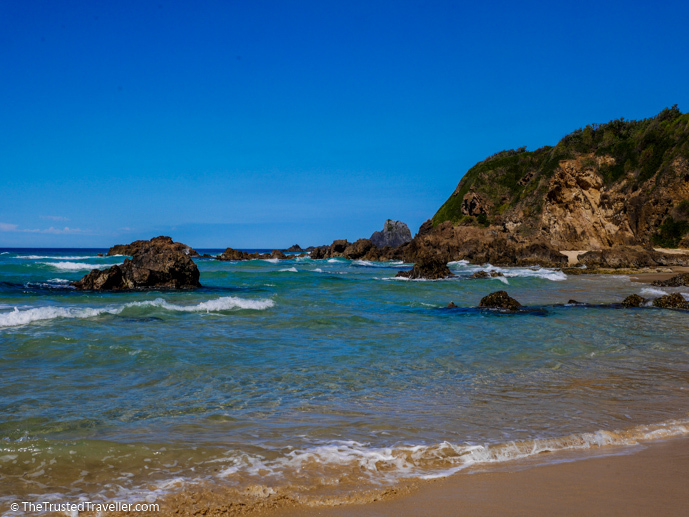 While I also loved Pambula Main Beach, the tiny beach at Lions Park at the mouth of the Pambula River captivated me as the perfect place to relax on the sand under the shade of tree with a good book. 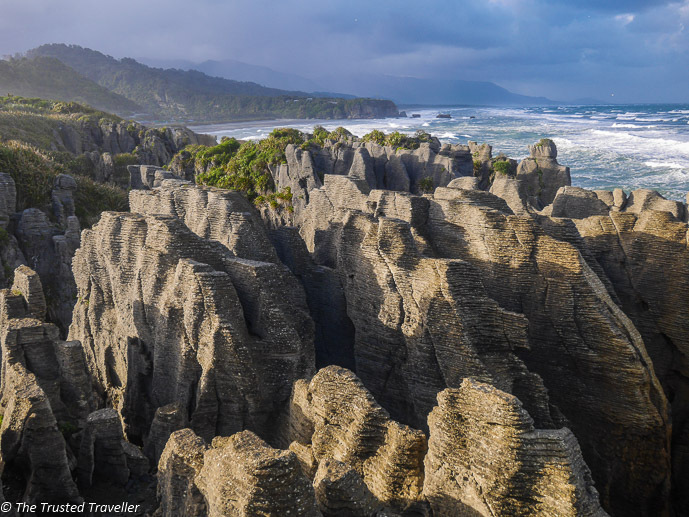 Crystal clear water, pristine white sand and interesting rock formations make this one of the most interesting beaches on this list. 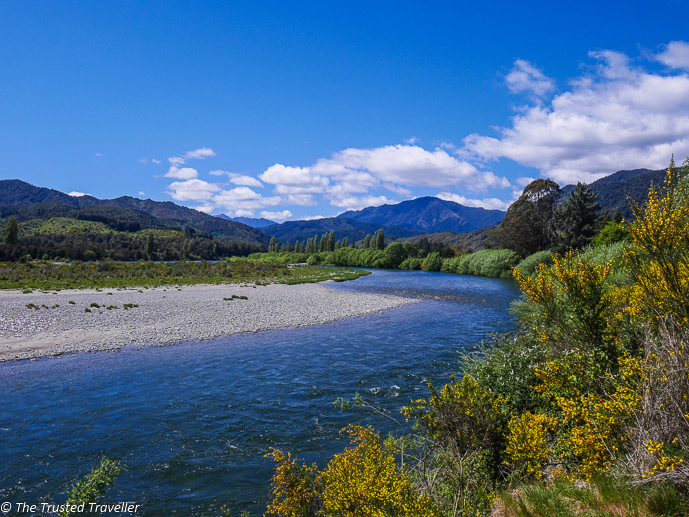 It’s great for summer time swims or year round visits to see the Pinnacles themselves. Looking for suggestions on where you stay when visiting the NSW South Coast? 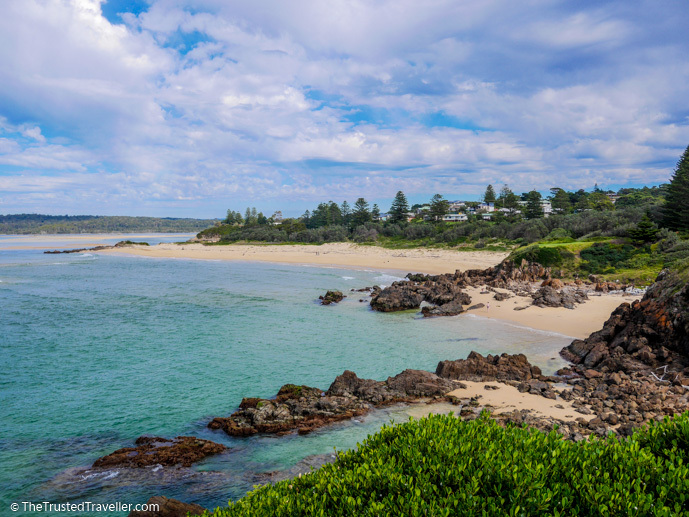 I’ve put together this list of the best self-contained NSW South Coast accommodation to help with your travel planning. 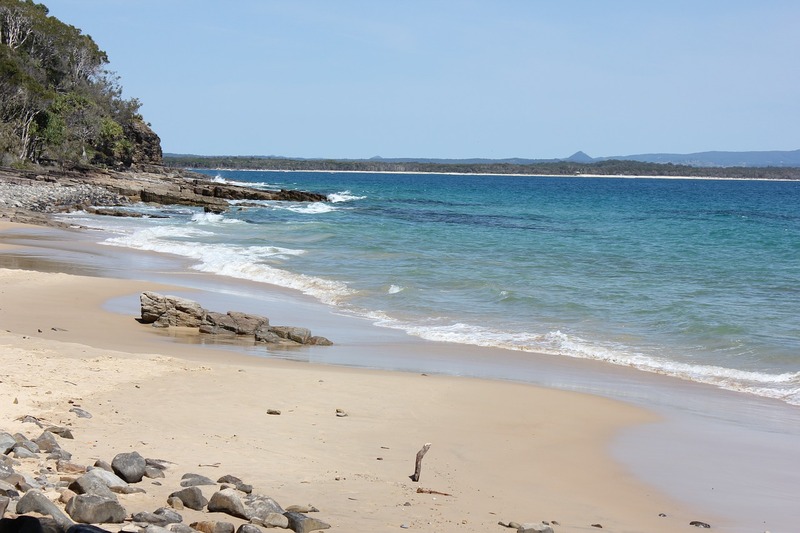 Do you have a favourite beach on the NSW South Coast? Which would you most like to visit?